The 10 channels that fall under the UKTV umbrella are back on Virgin Media after being pulled in July due to a dispute over fees. The free-to-air channels should already be back and available, with the paid-for channels following shortly, Virgin Media has announced. "Reaching this agreement reaffirms our longstanding partnership with UKTV and is fantastic news for our customers," Virgin Media's David Bouchier said in a statement. "We are sorry for what we know has been a frustrating time for our customers, but are pleased that our TV bundles are now even bigger." The likes of Dave, Gold, Alibi and Yesterday are some of the channels in the UKTV package, and there's now going to be more catch-up content available as well. 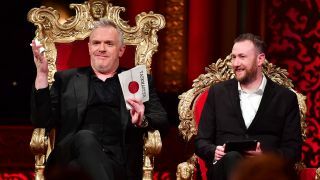 In addition, viewers on the cheaper Virgin Mix channels can access Dave and Gold in HD. Virgin Media and UKTV aren't revealing the terms of the agreement that's been struck. A couple of months ago, the companies were at loggerheads about how much Virgin Media would pay to carry the channels, but it seems a compromise has now been reached. "Viewers are at the heart of UKTV and we want to thank them for all of their support," commented UKTV's Simon Michaelides. "We know this has created real disruption for some of our viewers and we’re so sorry for this, but we are thrilled to be back, broadcasting our channels and shows to customers of Virgin Media once more." Virgin Media has also said it's working on a separate deal to carry more on-demand content from BBC Studios. The BBC, which owns part of UKTV, has previously held back archive material for the likes of Netflix, but that position might now be shifting.